Everyone loves a trier and so do we here at Ape. 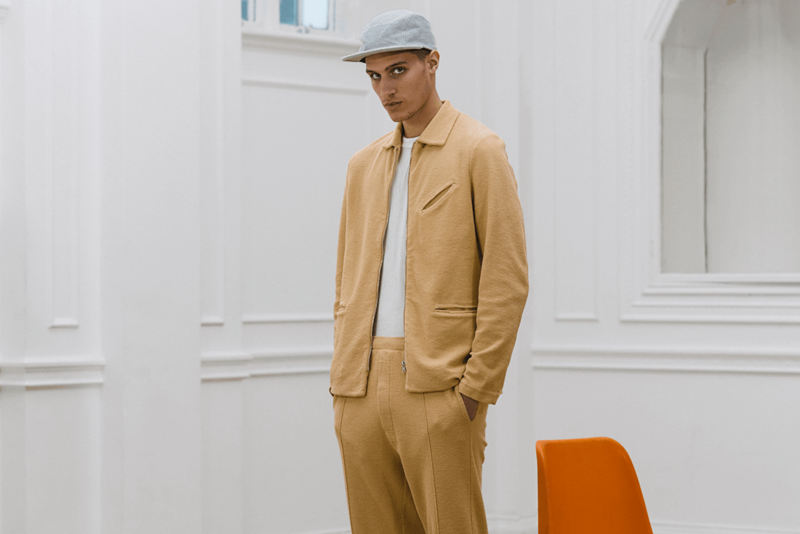 The fashion industry can unearth some of the most driven and congenial characters and we’ve just landed on another here in the guise of Les Basics, a brand launched in 2016 and carrying an effortless aesthetic that has a real air of style personified. Founder Keiron Hurley has dabbled in music and clothing for many years, but has now found his calling with this latest offering. At Ape to Gentleman we are already excited by the AW17 offering as well of what’s to come. 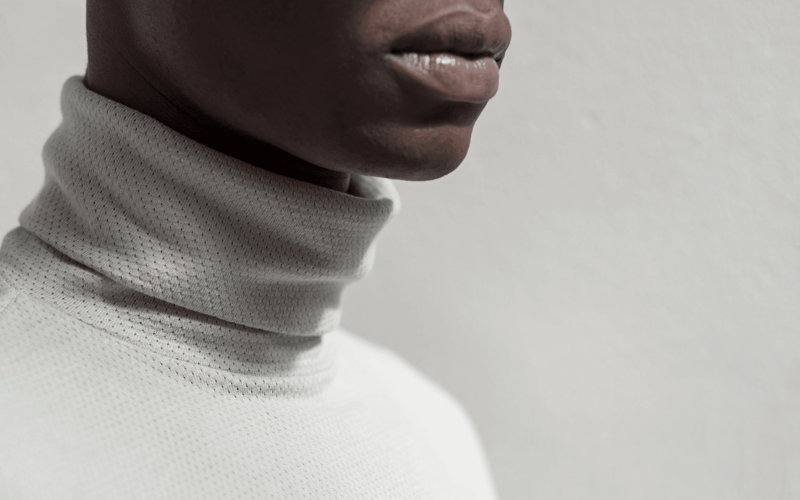 Here Ape’s Robin Clementson speaks to the man behind the brand. So Keiron, you have a real eclectic mix of experience leading up to this latest venture? Talk us through what has led you to where you are today? Well, I guess I try to make sure that whatever it is I’m doing to pay the bills is something I’m interested in and enjoy, not in the sense that it’s a conscious decision as such or a career path I’ve constructed, more that I find it impossible to force myself to do things just to earn a crust – I’d prefer to struggle for 18 months getting something up and running than take a gig I’m not that interested in to earn a few quid. Luckily, most of the things I’ve done have worked out so I’ve been fortunate in that sense, plus I’m unemployable so job offers rarely come my way and I have no choice but to do my own thing. I started as a tea boy at Polydor Records in the A & R department when I was 18 – I was playing in bands at the time, knew I wanted to do music as a career so wrote a letter to all the major labels – somehow I got interviews at Polydor and RCA, Polydor gave me a gig. My plan originally was to play but as I climbed my way up the greasy pole at Polydor, started signing and looking after bands myself, I realised that maybe I was better at pulling the strings than being on stage. Then from there I got involved in Acid Jazz as a partner in the business and we smashed it for a while, the headlines being The Heavies and Jamiroquai, and The Blue Note of course. Next I had a joint venture label with Sony called Good Sounds, made one great album before the plug got pulled… that was when things started to change in the music industry and I realised it was going to be tricky to continue to make the kind of records I wanted to, so I started looking for something else to do and the idea of a clothing label floated my boat. RedDot was my first clothing venture which did great for a while, then the market and the brand drifted apart to the extent that either I was going to have to reinvent the brand to make it relevant again, which I didn’t fancy doing, or start something new, so I opted for the latter. Under underwear came next and was good business for a while, then rather inconveniently I got really sick, spent a long time in hospital then recovering from a major op, so this combined with other business wranglings forced me to think of something new, which is when Les Basics popped in to my head. 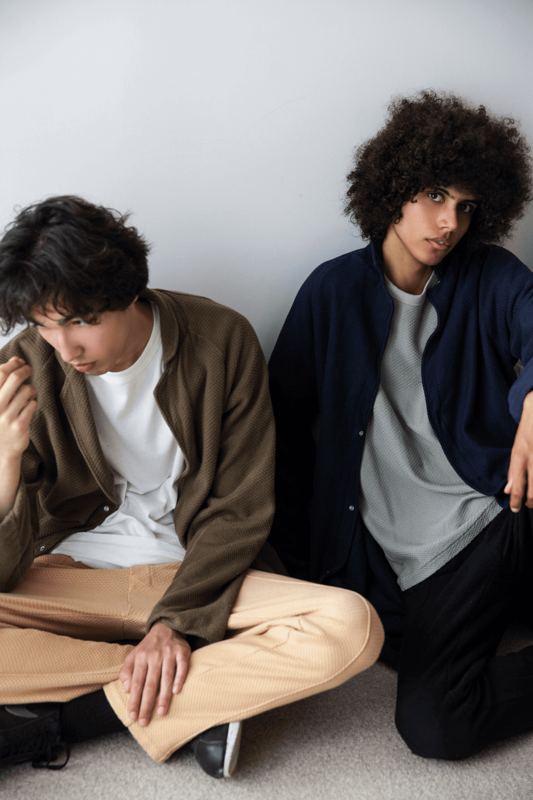 Settling in to Les Basics, what was the motivation behind the brand? My mantra when thinking about what to do next after Under, mainly because I was feeling particularly weak and generally dreadful, was back to basics and keep it simple, at the time I had no appetite for a complicated energy sapping venture. 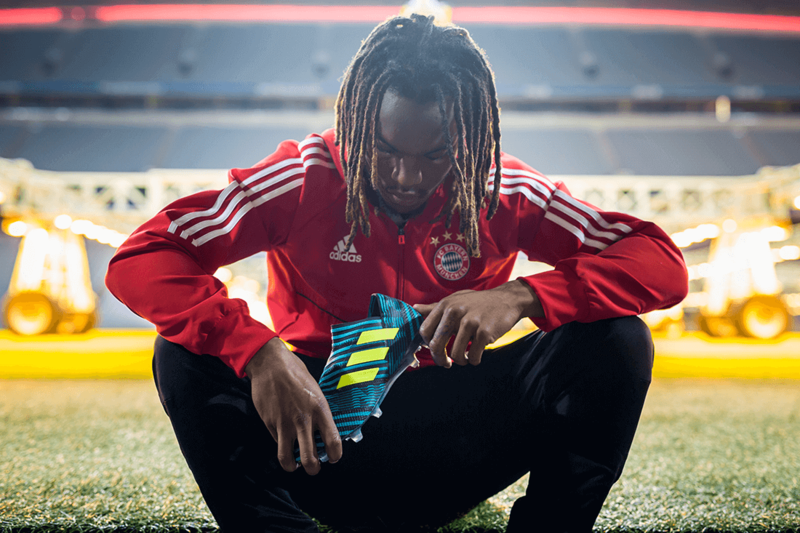 So a simple concept with a clear message – product focusing on design and quality. A simple manufacturing process using the minimum number of fabrics and silhouettes and beyond that of course something that I would enjoy doing and believed in. Interesting name, reminded us of La Paz from Portugal, can you explain a little further? My first idea was to call the brand “The Basics” but this sounded a bit, well basic I guess. 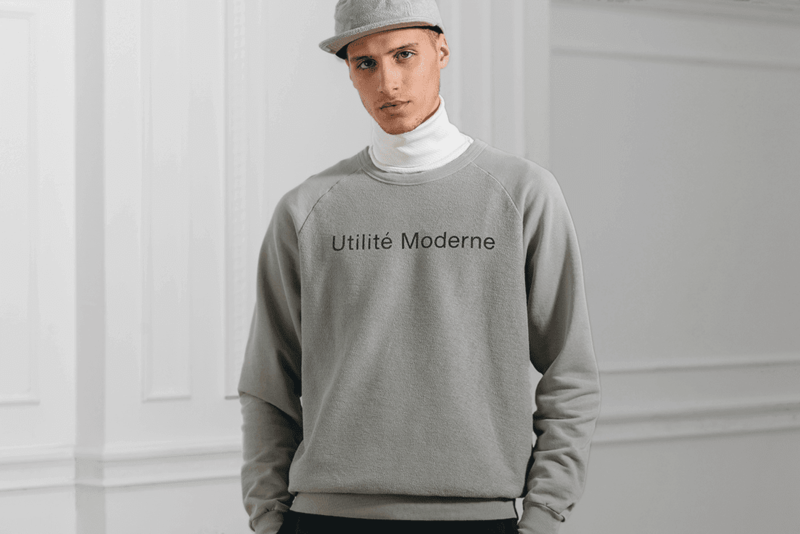 The idea of Les Basics quickly followed and gave licence for other Franglais constructions like Le Sweat Shirt, Autumn Hiver and so on, so this stuck. For whatever reason replacing The with Les gives the brand a certain je ne sais quoi, or at least I think so, there’s something undeniably chic about the French language and by association, just the word Les. It’s also un petit peu playful and self-effacing, important not to take yourself too seriously. So, you launched in 2016 and are now pushing AW17, what has the journey so far been like? So far so good, business is growing at a steady pace with good retailers and the network of sales agents and distributors I work with internationally is solid. Feels like something is happening and it’s sustainable. Who are you targeting and what would you say is the DNA behind Les Basics? Because the product is so neutral virtually anyone can wear it, within reason of course, the appeal is broad. Of course, we’re going after the early adopters and the cognoscenti at the moment but ultimately I think the customer base will be quite diverse. The brand DNA is good, simple uncomplicated design, functionality, quality and value for money. Can you add a little more to the products you have focused on and why? Yes and I will in time, it’ll be a gradual process though. Because the brand’s foundations are so simple I should in theory be able to take it anywhere when it feels the time is right to do this, then back to its roots again when the time feels right. 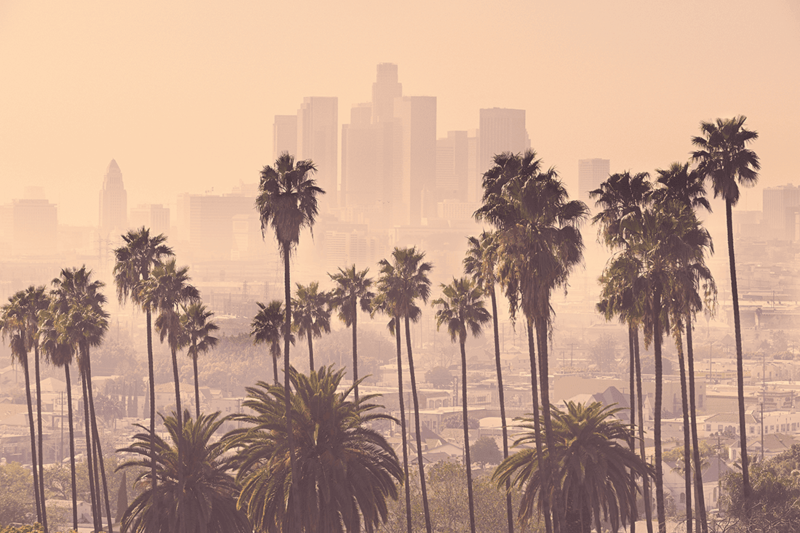 Do you consider the brand to have a particular USP and who would you describe as competitors? 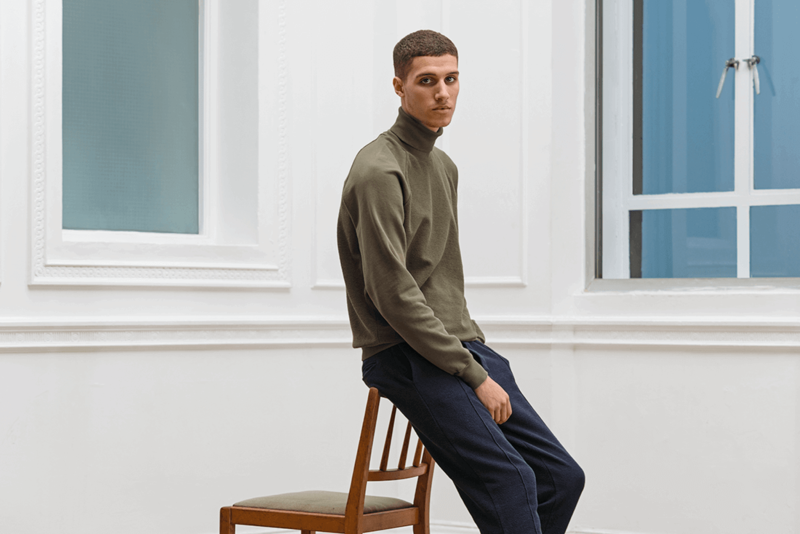 Retailers tend to lump Les Basics in with Sunspel, James Perse, The White Briefs etc… I think Les Basics is more design-led, more a fusion of sportswear with a formal sensibility and therefore more interesting, less traditional than the others. Layering and versatility, would we be right in spotting these elements as key factors? I’d say so, a constant idea behind all collections is that everything must work with everything else, to the extent that you could get dressed in the dark and still be confident you’d look good. Obviously building awareness is key at this stage, but moving forward are you looking to collaborate? Yeah, just a question of timing and the right collaborations. 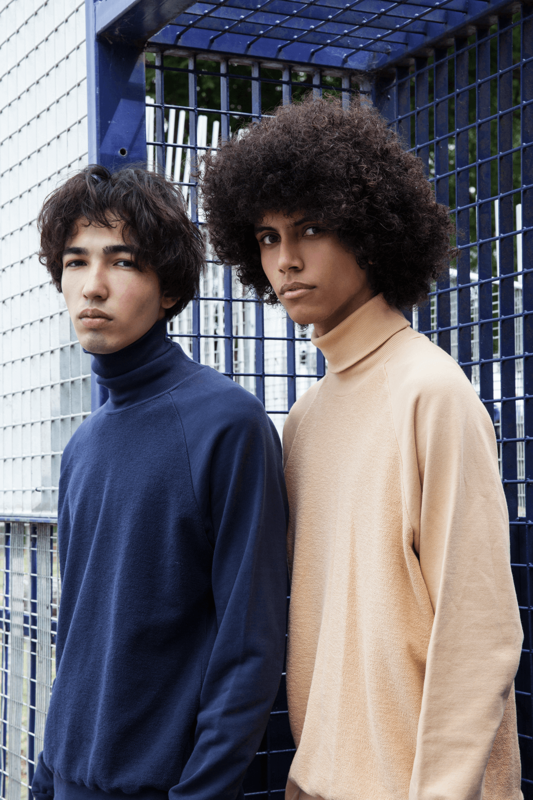 I’m working on a LES BASICS for END capsule collection at the moment which is due to drop early in September this year – I think these type of things tend to work best when the collaboration is between two very different but compatible parties. I guess I’ll know how and who else when they present themselves to me. Where is the brand based and how many employees currently work at Les Basics? Highgate and it’s just me at the moment. There are however, lots of people I work with from sales and production agents to communications companies and factories, but in terms of the design, day-to-day control and running of the business it’s just me. I work best on my own but expect I’ll need to hire some people before too long, when the work load becomes too much for me to handle without screwing things up. You make product here in the UK and in Portugal, can you explain why and the logistics? Everything is actually produced in Portugal – main reasons for this are quality and proximity, I can be in and out on same day including time for a nice lunch. We distribute to customers direct from the factory which means a lot of this is possible by road – I don’t know for sure but assume this is less damaging to the environment than sending by air. How would you like to be considered by the consumer? I don’t really have any expectations on this front, I’ll just keep doing the best job I can and hope the end result is appreciated. Where do you see the brand in five year’s time, what are your aims? I’d be happy with being ‘well-established’ in five years. Ultimately, I think the brand has massive potential, whether or not this is fulfilled will depend on how my vision aligns with the tastes and appetite of the great unwashed. Can you talk briefly about where the consumer can access your products? And the plan moving forward? Currently the best source of information is the stockist page on the website – lesbasics.net – e-com is on the to do list, hoping to have this up and running for SS18 so by Christmas this year.